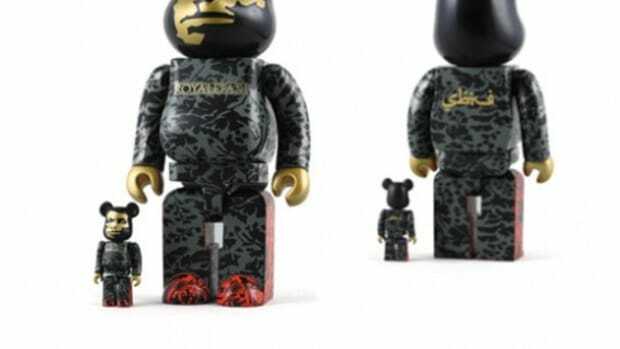 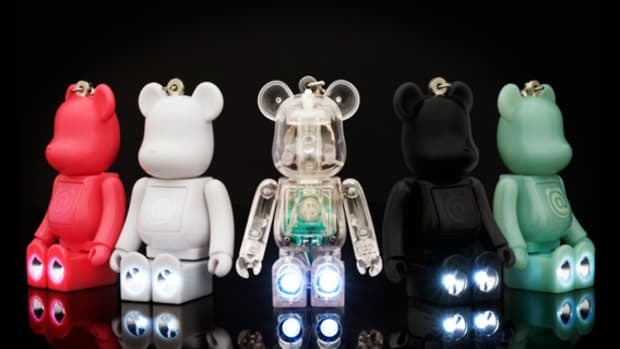 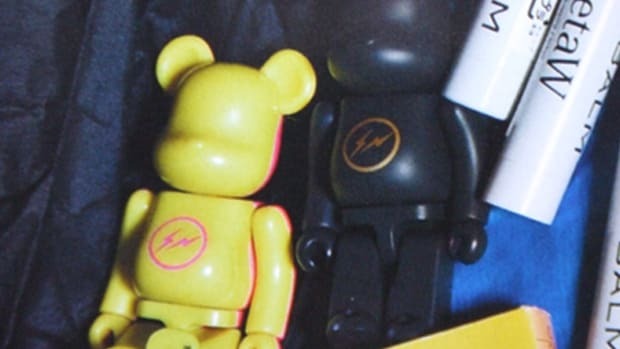 Apart from the one off custom BE@RBRICK that MEDICOM TOY produces as collaborations, their standard BE@RBRICK series have reached to Series 19 and this series invites famed Japanese designer Kazuki Kuraishi aka KZK as one of the artist in the series. 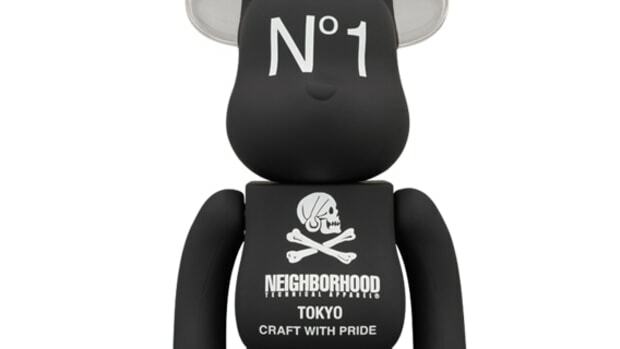 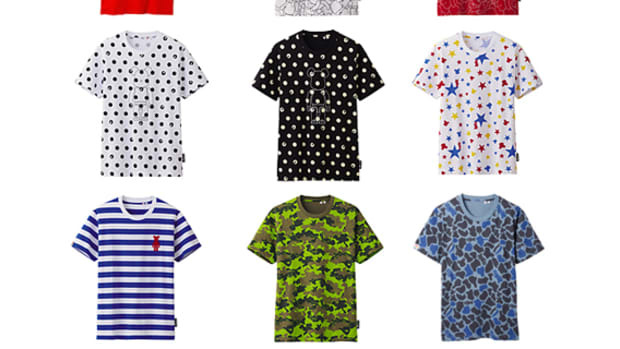 KZK is most prominently known for his work for fragment design as well as adidas and other high profile brands in Japan and around the world. 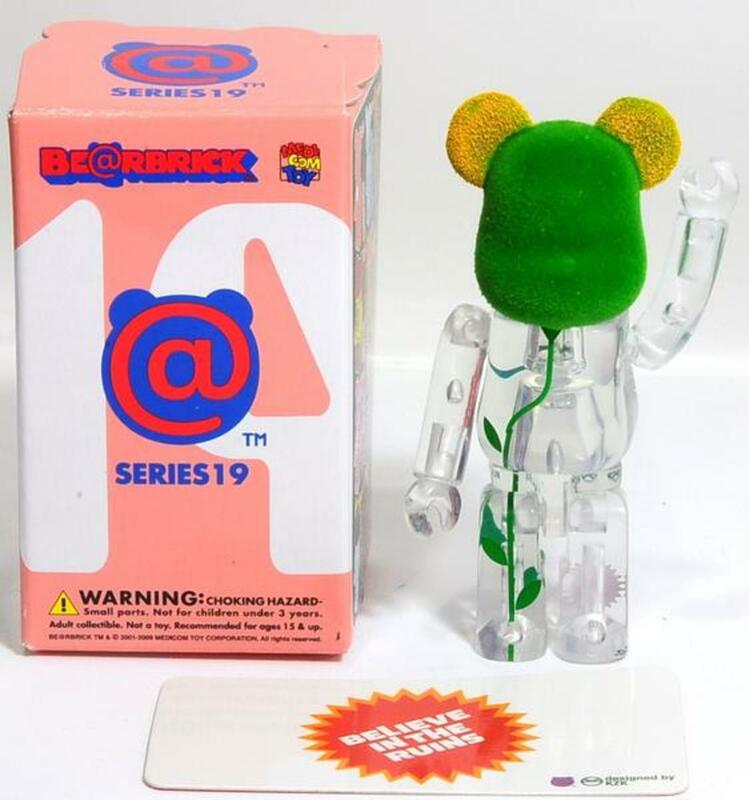 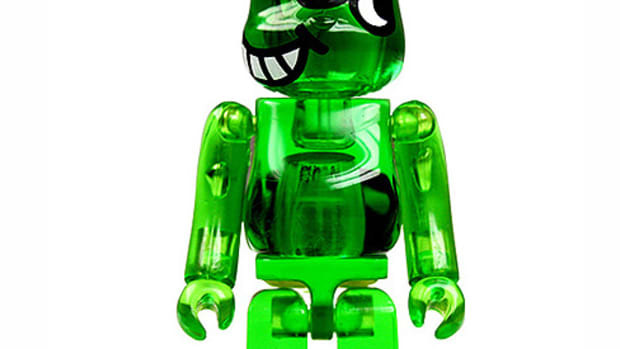 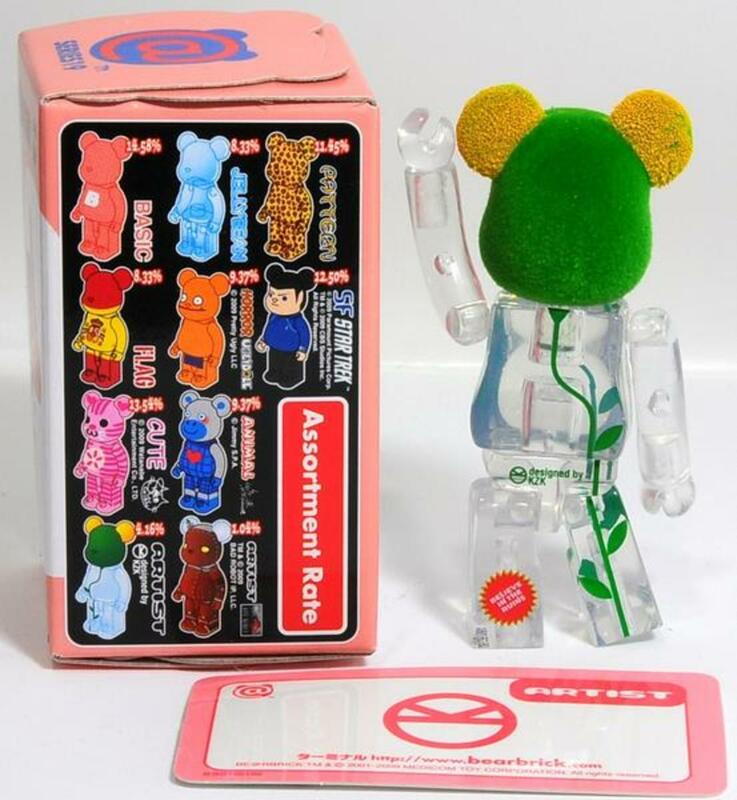 For this BE@RBRICk he has designed a simple clear body that is accented by flocked face in green and ears in yellow color. 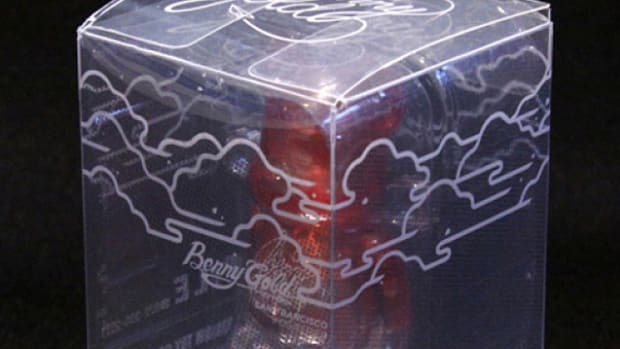 On the clear body is a print of what appears to be stem and leaves of a plant leading up to the face.